Vietnam is a beautiful country blessed with many landscapes attracting millions of tourists every year. Halong Bay and Phu Quoc are the top destinations in the list of the most beautiful, attractive and interesting destinations in Vietnam. You are planning to travel this summer but are wondering if you should travel to Halong Bay or Phu Quoc, our post today can help you choose the right destination. 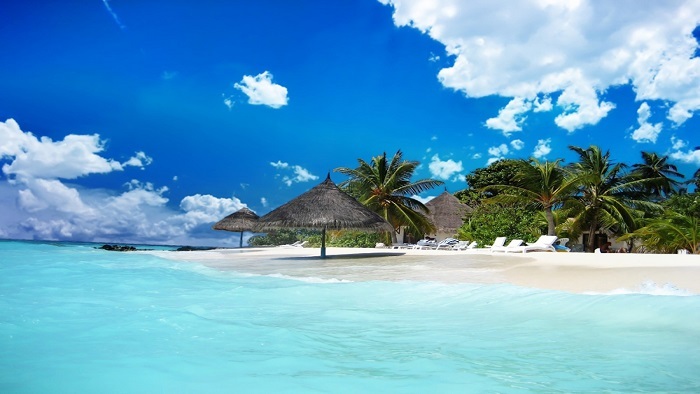 Phu Quoc is the largest island of Vietnam located in the Gulf of Thailand. 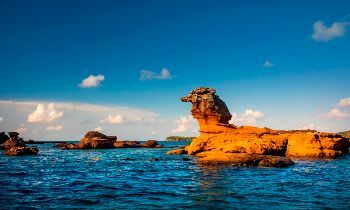 Phu Quoc has the typical features of tropical monsoon climate with two distinct seasons: the dry season and rainy season. 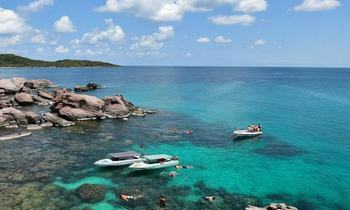 The best time to visit Phu Quoc is in the dry season from November to May of the next year. During the dry season, tourists can experience swimming in the sea and visiting Phu Quoc tourist attractions without any difficulty. Yet, you will not be able to drown in the cool water of Tranh stream, or Da Ban stream, because these streams are dry in this season. If you come to Phu Quoc in the rainy season from June to October, you have to suffer from the heavy rains here. However, let’s make use of the sunny days to come to Da Ban or Tranh streams in Phu Quoc to enjoy the fun of bathing in streams. Halong Bay is a part of Tonkin Gulf in northern Vietnam. There are four seasons in Halong Bay, whereas, winter and summer are two main seasons; spring and autumn are two sub-seasons which are transiting time between two main seasons. The winter is from November to February of next year; there are 8-10 days that the temperature can drop down 10 Celsius degree, it is extremely cold. The summer is from May to September, the weather is hot and humid, some tropical storms are affecting in the bay, but it doesn’t cause serious damages. 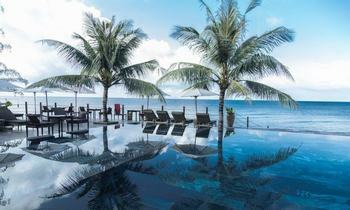 With stable and warm weather all year round, Phu Quoc is a very suitable destination for traveling and relaxing. However, the landscape of Phu Quoc doesn’t have many changes during the year. The climate of Halong Bay is changeable and unpredictable, the landscape of Halong changes with the season. If Vietnamese people like to go to Halong in summer, foreign tourists love Halong in winter. However, due to its unpredictable weather, it causes a lot of troubles to visit Halong for tourists, especially in the storm season. When choosing a place to travel, the most important thing is a staying place after a long day of traveling. Hotels and resorts in Phu Quoc have many different types and prices ranging from several hundred thousand to several million VND. 2-star hotels range from VND 500,000 / night to VND 900,000 / night depending on types of room. 3-star hotels and resorts rate from VND 1,300,000 / night to VND 2,500,000 / night depending on types of room. If you don't care much about money, 4-star and 5-star hotels and resorts will be your choice, room rates range from 90 USD / night to 400 USD / night. The 4-star and 5-star resorts are highly appreciated for quality service and comfortable rooms. 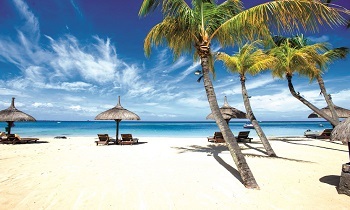 There are many hotels and resorts located in tourist areas. With the experience of booking hotels in Halong, you should go at the beginning of the week or mid-week to avoid high room prices, because weekends are often crowded so the price will be high. To facilitate traveling and eating, tourists should book a hotel in Bai Chay area. The motels or hotels are concentrated mainly in Vuon Dao area, where the room price ranges from VND 250,000 or more. Especially, there is a special type of accommodation in Halong that is different from any tourist attractions in Vietnam, that is the cruise. 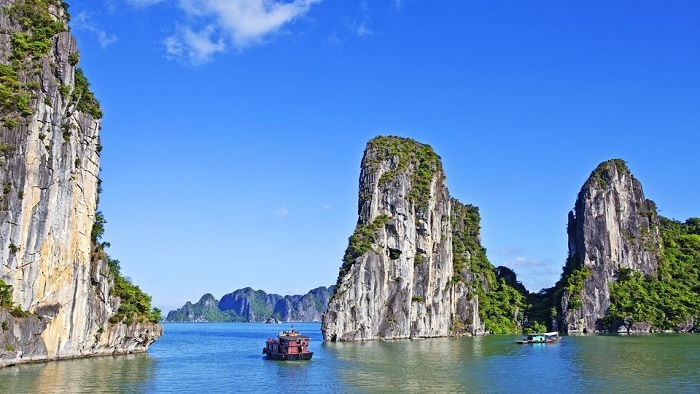 You can choose to stay overnight on the luxury cruise in Halong Bay. It is such an amazing experience to feel and admire the beauty of Halong Bay at night. The price of the cruise in Halong is various depending on the star number of each journey. Although Phu Quoc has more beautiful and luxury resorts than Halong, thanks to the overnight experience on the cruises, Halong might win in this competition. 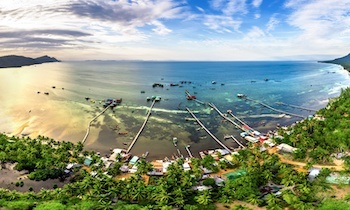 Phu Quoc is famous for a unique cuisine which bears the imprint of the sea. When traveling in Phu Quoc, don’t forget to try out Phu Quoc seafood, and one of the most outstanding seafood dishes in Phu Quoc is herring salad. For a long time, herring salad has become a flavorful dish of Phu Quoc, this dish is also considered a specialty of Phu Quoc and contributes to enriching the beauty of Phu Quoc island cuisine. Tram mushroom is a familiar ingredient for residents living on Phu Quoc Island. This type of mushrooms has a lot in primeval forests in the rainy season. Tram mushrooms are processed in many dishes such as Tram mushroom soup, gruel, mushroom hotpot, etc. Moreover, Phu Quoc has many other dishes that you should try such as grilled snails, grilled sea urchins, fish hot pot with mango, etc. Besides that, Phu Quoc also has many specialties that you should buy as gifts for friends and family such as Phu Quoc anchovy fish sauce, Phu Quoc pepper, Sim wine, Phu Quoc pearls, etc. Halong cuisine is famous for its fresh seafood dishes. 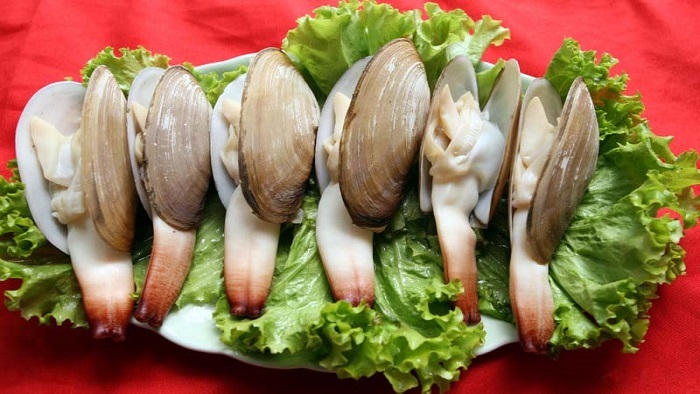 Collected from the sea, visitors to Halong are familiar with the specialties such as Halong grilled chopped squid, Cai Rong fish sauce, Van Don geoduck, etc. Coming to Halong, tourists have many choices to choose a place to enjoy Halong delicious dishes such as on cruises, at raft houses, in restaurants, etc. Both Halong and Phu Quoc are coastal cities, the types of seafood are very diverse and fresh. However, the favor of seafood in Phu Quoc and Halong is different due to the differences in cooking recipes as well as regional styles. So, if you want to know which cuisine is better, let’s come to Phu Quoc and Halong to taste and define. 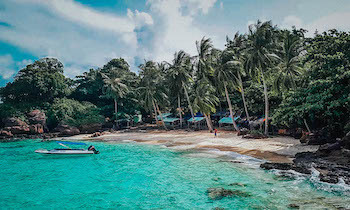 The beaches of Phu Quoc make a strong impression on tourists due to the pristine natural landscape with blue sea, white sand and golden sunshine. The roads in Phu Quoc are not crowded, you just need to rent a motorbike and hit the road to head to sandy beaches. The beaches along the north of the island are the most beautiful ones. Nightlife in Phu Quoc is peaceful and comfortable with many fascinating experiences such as going night squid fishing, visiting the night market, etc. Dinh Cau night market and Phu Quoc night market are two favorite destinations for tourists to experience Phu Quoc at night. It can be said that Halong Bay is one of the most famous tourist destinations in Vietnam because it is endowed by nature for many beautiful landscapes such as Bai Tu Long Bay, Con Coc islet, Ga Choi islet, Ngoc Vung island, Ti Top island, Tuan Chau island, Sung Sot cave, Dau Go cave, Thien Cung cave, etc; all create a vivid and gorgeous picture to Halong Bay. 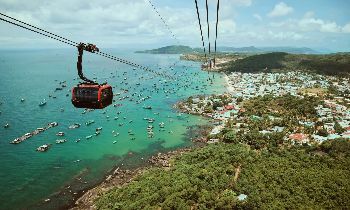 About the natural landscapes, Halong Bay is the winner, but Phu Quoc has a perfect combination of natural landscapes, cultural and historical sites, and adventuring activities. 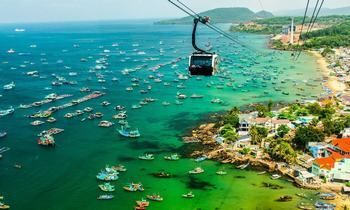 If you are planning to visit Vietnam, don’t miss out Phu Quoc and Halong Bay in your itinerary. 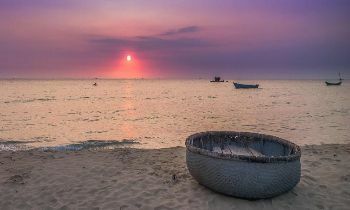 If you have any questions about Phu Quoc tour package, contact us. Thank you!